These are benign growths that occur frequently in African skin due to photo ageing. Dermatosis Papulosa Nigra (DPN), a cluster of small seborrheic keratosis, is prominently located on the face, neck and upper trunk of both African men and women. They are small, brown or black bumps that are sometimes mistaken for moles. It is felt that a combination of heredity, ageing and exposure to the sun are factors in the development of DPNs. Numerous 1–5 mm firm, smooth and raised dark brown to black bumps occur on the cheeks and forehead. These bumps may also appear on the neck and trunk. Since DPNs are non-cancerous, they do not have to be treated. They do, however, increase in number and size as women/men mature and it is for these reasons that many women want them treated. At Skin Renewal, DPN s are successfully removed with the small spot size 3mm of the long pulsed Nd: YAG laser. This procedure is generally well tolerated and healing generally occurs within one week. 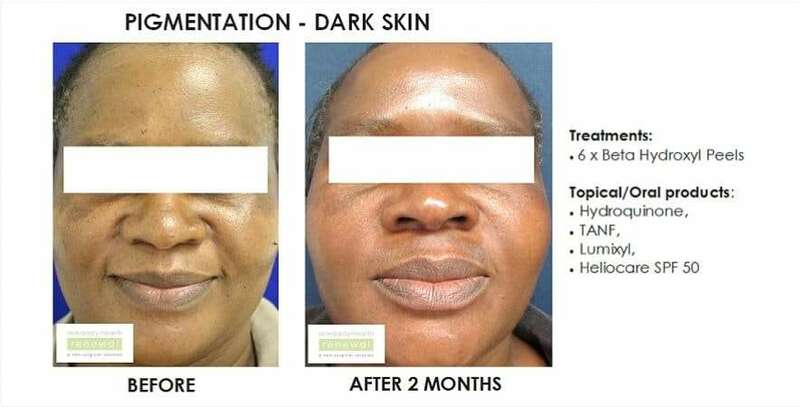 Side effects of removal may include light or black skin discolourations which usually fade rapidly especially if the skin is pretreated with a skin lightening agent. 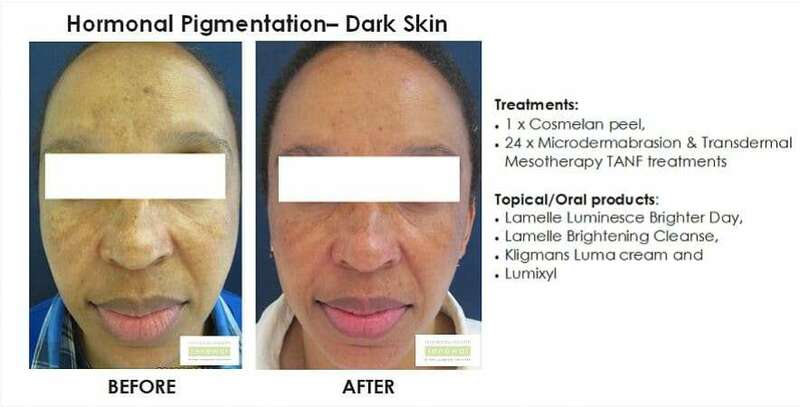 Any laser that has a spot size smaller than the actual size of the dark spot (such as the Cutera Nd: YAG laser) that has to be treated can be safely treated in skin of colour. The overall experience is both painful and very good. In terms of the pain factor of the laser treatment. However I am happy with the results so far, skin is healing nicely. The therapist is wonderful, very friendly, keeps me distracted from the pain.